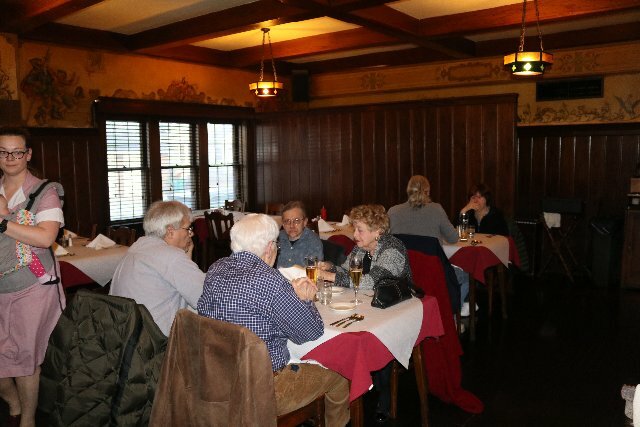 Always packed with happy diners. 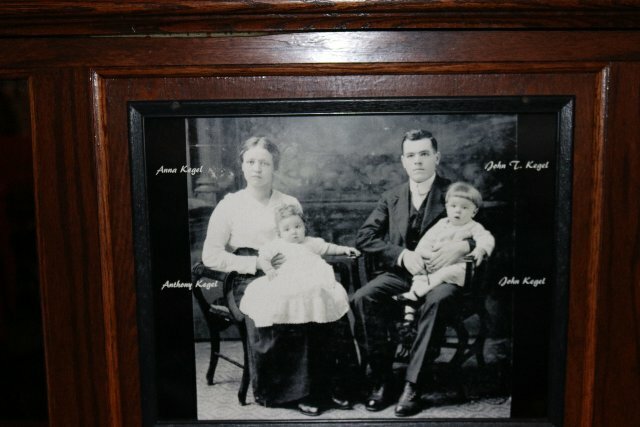 The founders back in the day. Milwaukee is known for its German style beer. 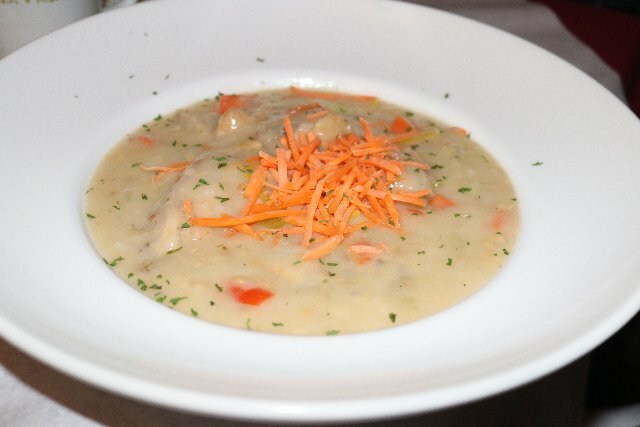 Unfortunately the rabbit stew was sent back to the kitchen. While in Milwaukee for a theatre conference we connected with Anne, a critic friend, and native. 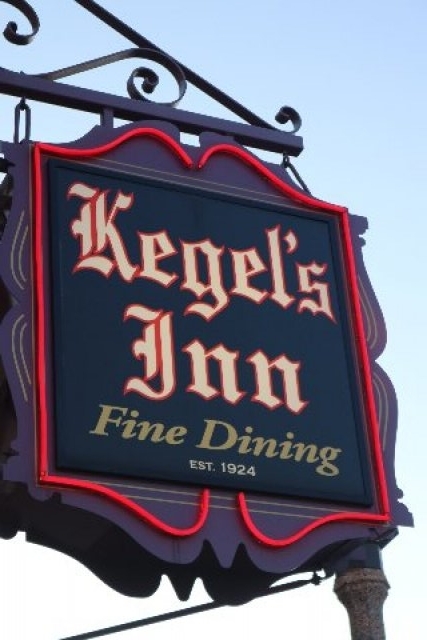 We wanted to try traditional German food and she suggested the renowned Kegel’s Inn. 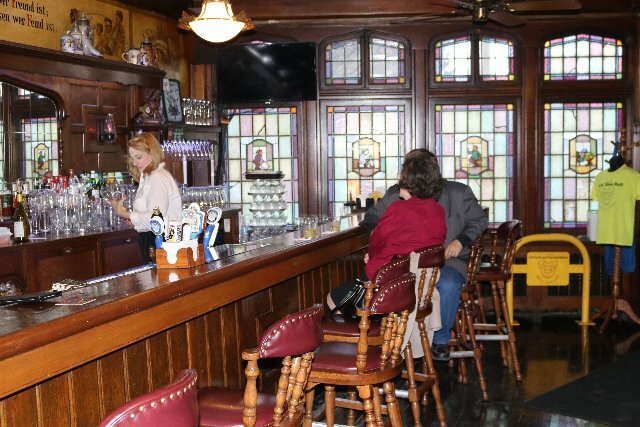 From our downtown hotel it was a fifteen minute cab drive to what proved to be a neighborhood tavern, with lots of old world charm, that was established in 1924. 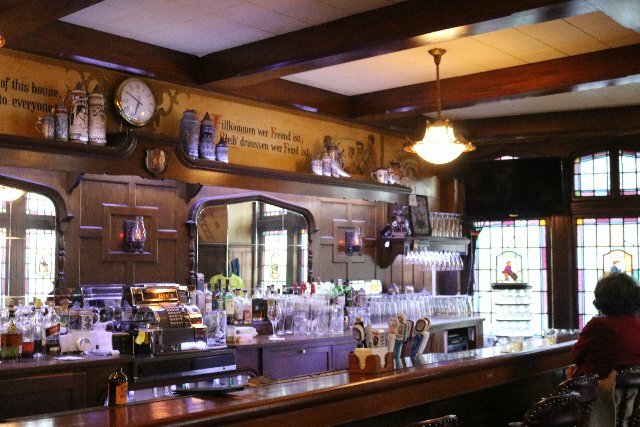 It appears that little has changed since then from food to its Bavarian décor. We were surprised that it was also a first visit for Anne but she was game for the adventure. The New York critic, Fast Eddy, rounded out a table for four. 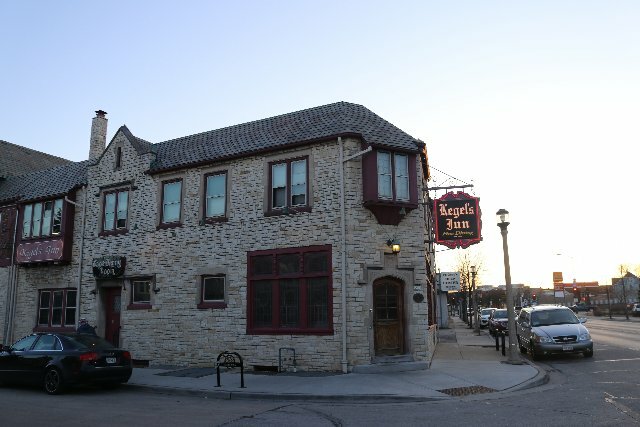 It turned out that Wednesday night features the affordable and apparently terrific fish fry which is also offered on Friday when Kegel Inn is packed. In Milwaukee, traditional fish fry is a really big deal. We had it a couple of nights later at a restaurant within walking distance of our hotel. Again it was so busy that we were lucky to find seating in the bar. The fish fry was affordable and tempting but we hankered for authentic German cuisine. Perusing the extensive menu the waitress stated that the boneless duck ($26) was indeed excellent and very popular. 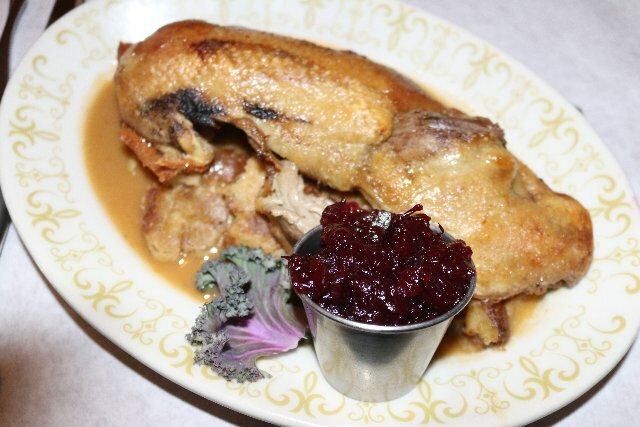 It is served crispy over stuffing with a cranberry garnish. It lived up to its reputation. 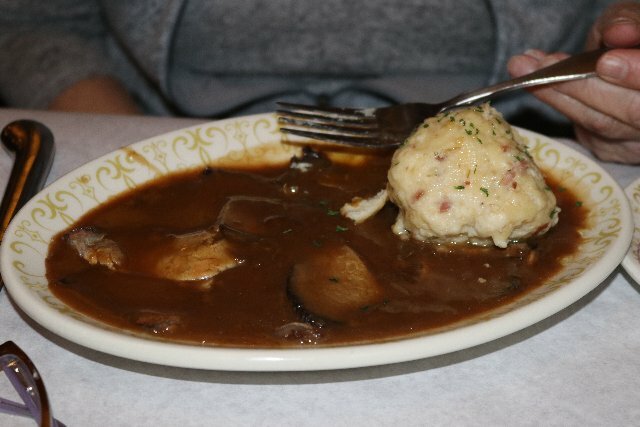 Ditto for the sauerbraten ($22) which Anne reported to be excellent. The long marinated meat was served under a rich thick sauce. When it was served she was taken aback. It was evident that the stew was thickened with flour. Since she is gluten free the waitress was informed that it wasn’t acceptable. Unfortunately, the waitress reacted badly leading to tension. Reluctantly, she took the dish back and returned with a menu. The decision was to order the duck but without stuffing. Lingering over his cocktail Eddy ordered duck when we were just about finished with our meals. That meant that we were among the last to leave while they let the cat out of the cellar. 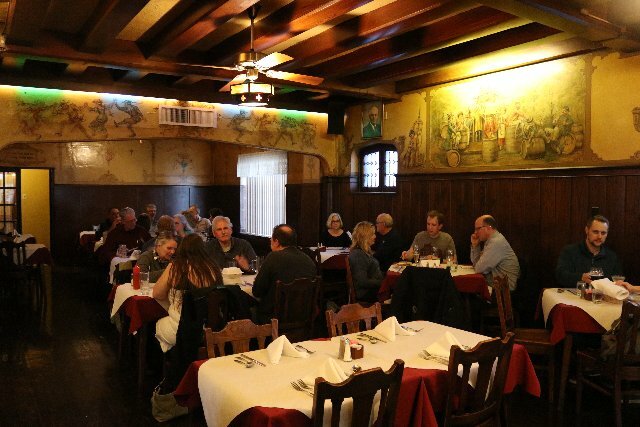 When we return to Milwaukee I’ll try the fish fry or one of the other traditional German specialties like pork shanks ($26), beef goulash ($23), beef rouladen ($24) or Weiner schnitzel ($25). The fish fry specials range from $14 to $16. No wonder they are mobbed on Friday night.